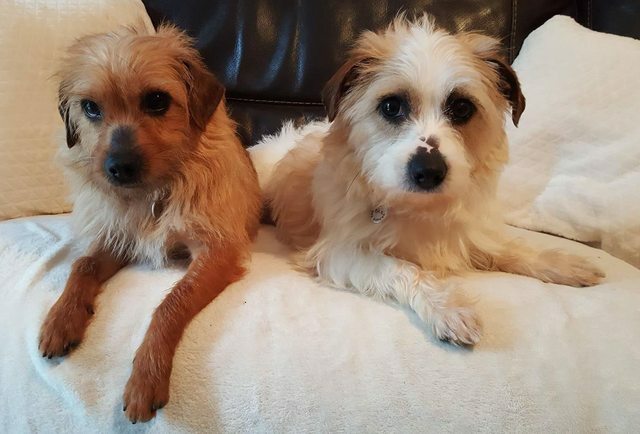 Coco and Amy are 3 year old female Terriers. We would love to home them together as they are very close. These girls love cuddles and will be straight on your knee the minute you sit down. They are confident in the house although they haven’t lived in one. House training is progressing. They will go outside if the door is open and are beginning to ask to go out but it is going to need work. They sleep happily together all night. They can live with or without other dogs. They can be left for short periods and are not destructive. They love their food. They are walking on leads in a quiet area but are nervous when out as it is all new to them. They meet other dogs nicely when out and are improving daily at meeting people. They may be able to be homed with a confident cat. We will consider homing them with teenagers. Coco (brown) is slightly more confident than her sister out of the house whereas Amy seems more comfortable inside. 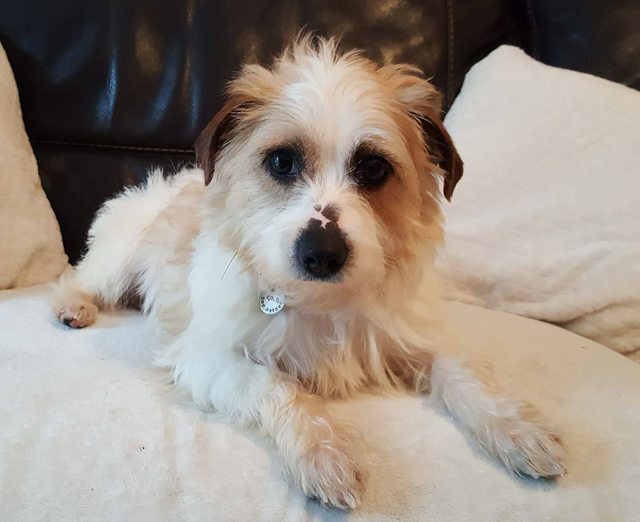 If you are interested in Coco and Amy and are already on our waiting list please get in touch to let us know you would take two dogs. 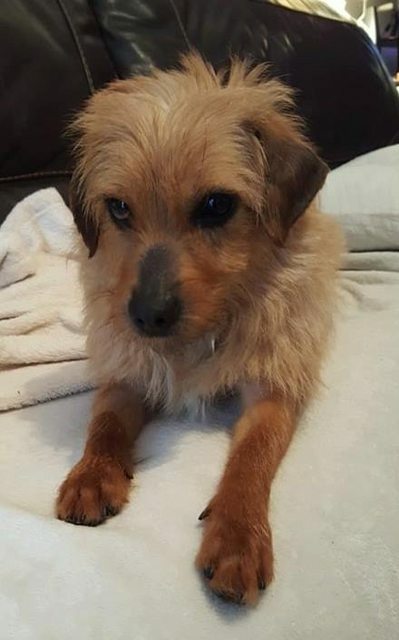 Coco and Amy have been spayed, vaccinated and microchipped. 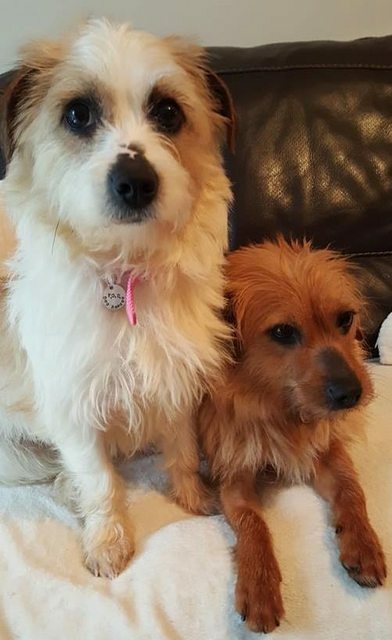 Please complete the application form on our website if you feel you are able to offer Coco and Amy the home they are looking for.